UBS Financial Services has settled with Virginia’s State Corporation Commission to the tune of $319,000 over a former broker’s alleged unsuitable recommendations, according to news reports. The unnamed broker was based in a branch in Roanoke, Va., and recommended to 18 clients that they buy certain securities linked to gold and precious metals in 2013 and 2014, InvestmentNews writes, citing a Jan. 28 order by the Commission. The regulator found that the recommendations were unsuitable for some of the clients and made them over-concentrated in the securities, according to the order cited by the publication. 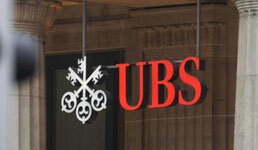 UBS cooperated with the regulator and neither admitted nor denied the allegations, InvestmentNews writes. The firm agreed to pay $289,000 to the 18 clients and $30,000 to Virginia for the cost of the investigation, according to the publication. A UBS spokesman declined comment on the settlement to InvestmentNews. This is at least the second settlement UBS has made with regulators in recent weeks. In December, Finra, along with the SEC and the Financial Crimes Enforcement Network, announced a $15 million total fine imposed on the firm for deficiencies in its anti-money laundering programs, as reported.